Head over to the Pre-Handwriting page on the Emerging Literacy tab to see the updated and new resources from the Occupational Therapy department in Highland to support pre-handwriting development. 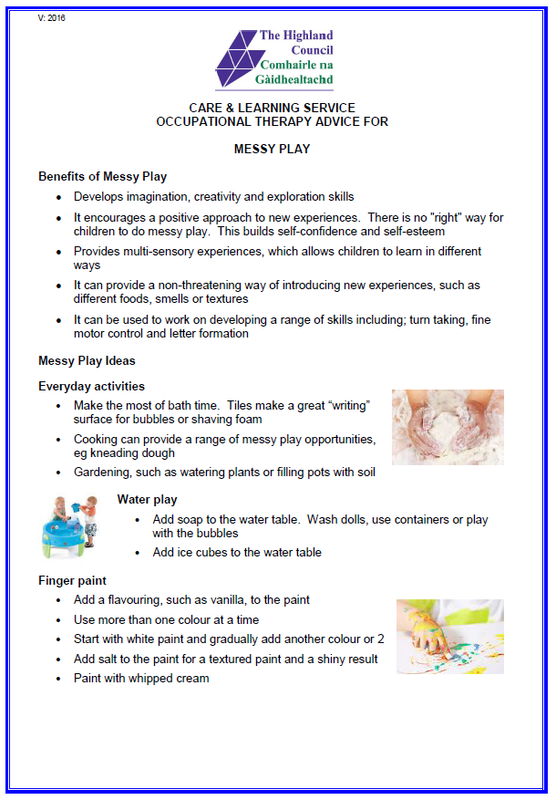 Access the Messy Play resource for sensory play experiences to support the development of fine motor skills and pre-writing skills. Access the Bike Riding handout, ideal for families, to support the development of bike riding skills. To download all of the revised handouts, click the link below – the most up-to-date resources are available via the Pre-Handwriting page. This entry was posted in Uncategorized on March 13, 2017 by Mr Cook.